This page is a part of a transcript of the Lab Chat presentation held on Friday, May 6th, and featuring Ebbe Linden (Ebbe Altberg, CEO at Linden Lab), Oz Linden, the Director of Second Life Engineering, and Troy Linden, a Senior Producer of Second Life. The session focused on three areas: Project Bento for Second Life, Second Life, and Project Sansar, featuring a series of questions selected from those asked via the Lab Chat forum thread, together with additional questions asked directly by the audience attending the event. 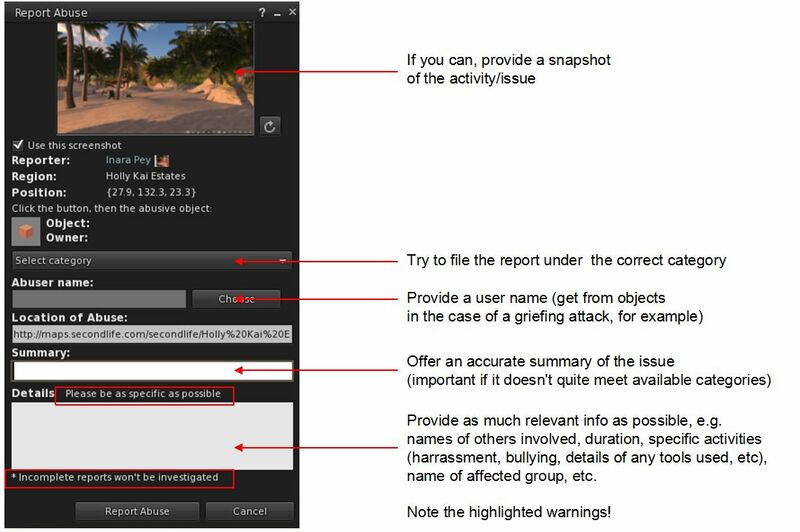 This page provides a transcript of questions and answers specifically related to Project Bento and Second Life. Questions are supplied in text, with answers presented in text and with an accompanying audio extract. Please use the following links to jump directly to a topic of particular interest. For questions and answers focused on Project Sansar, follow this link. Troy Linden (TL): I want to say, Project Bento, from the start, we wanted to make this really a community effort. We always love to pick the brains of our residents to find what kinds of things are important to them, etc. Then we go back to the Lab and start thinking about whether or not we can actually pull it off. So, to answer the question, the different types of programme. When we originally set out, we reached out the community, and we said, “Hey, look. We’re thinking about putting this project together; we’d like to reach out to the creator community to see what kinds of things are available out there for the public. And the folks at Mayastar and Avastar, who actually create a plug-in for Blender and Maya, responded to our request to get people to participate. and we’ve actually been working with them a great deal since the beginning, and we’re happy to say that as far as the different types of tools, animation programmes, etc., you will be able to use the plug-ins to create animation content for Project Bento. Will there be any in-world tools for Bento pose and animation creation? – Devin Vaughn. Oz Linden (OL): At this point, Second Life doesn’t have any in-world animation creation tools, and we aren’t attempting to add them as part of this. Instead, as Troy said, we’ve tried to leverage the ecosystem of good, compatible tools that are already out there, and make sure that they can be updated to work with the new project and support it, and provide users [with] the excellent capabilities they’ve already got, so we can focus on building the things that are really specific to the inside of Second Life. Will animations for Bento have the ability to animate (or pose) separately? Example: A Bento facial smile that affects no other body part; a wing animation that only animates the wings; a finger pose that only poses the fingers. Also, will poses and animations for Bento have the option for full body animation? – Devin Vaughn. TL: Yeah, absolutely. I just want to clarify for a second that Second Life does already support isolating animations to certain parts, and Bento really is no different. What we’re introduced here are just more joints to animate. We’ve seen a lot of really cool things just from the short time we’ve been testing this thing. Some of the crafty things that some of the creators have come up with have just literally blown us away. Even before Bento, we’ve that people have attempted to fix things like wings and such onto their avatars, but with Bento now, you can actually animate them, which really does bring it to life. OL: And people are making use of them for all sorts of things that are less obvious than that. 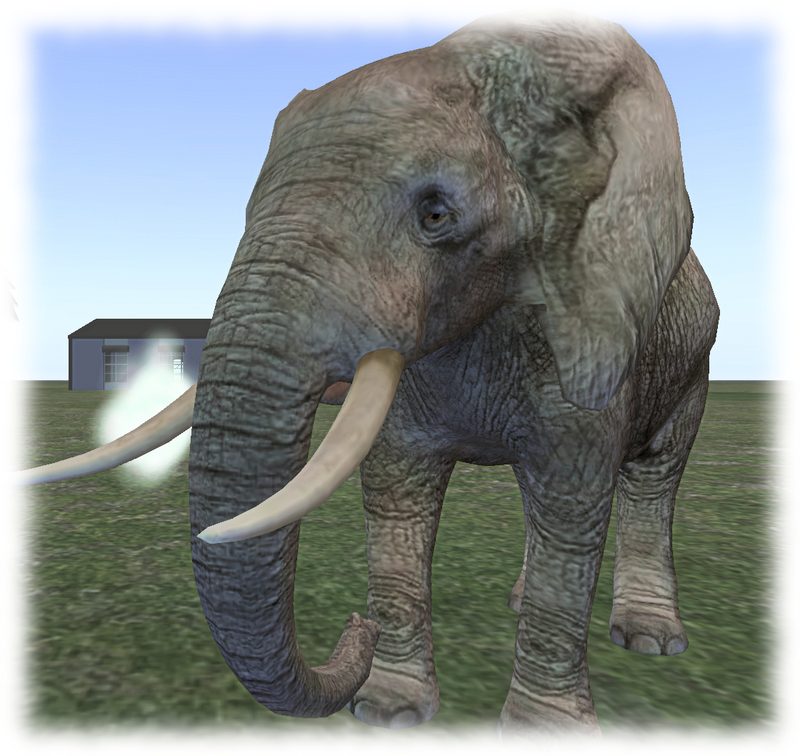 For example, we have one creator who’s been very active with us, who used the wing bones to animate the big floppy ears on an elephant avatar, and it made it just incredibly realistic. It was just amazing! OL: We’re not anticipating doing anything like that right now, no. Fascinating idea. OL: All avatars in Second Life have the same skeleton. So in fact, once Bento is released generally, everyone will have all of those bones. At this point in the project, we’re not anticipating that when we release it fully, we will have re-rigged the system avatar’s facial skin to be rigged to those facial expression bones. So they’ll [the new Bento facial bones] will be very useful for replacement mesh heads that are rigged to them – not necessarily existing one that are not yet rigged to them. but we don’t plan on, initially at least, doing the system avatar skin re-rigging; we would risk modifying the appearance of existing avatars, so we’re not going to take that on just yet. Whether or not we’ll experiment with it or not in the future is still a matter for speculation and study. TL: I can’t speak on whether or not we’re planning on introducing animated mesh to SL per se, and the bandwidth savings. but I can tell you that with Bento, it does make it easier to do partial rigging, for example.So a mesh might only be rigged to a few of the avatar bones, and they can use those bones to make animated head attachments for example. We’ve actually seen people, as Oz mentioned, in our user group meetings. that we host once a week, people show up with random stuff, and one time one of the residents showed up with a pet, I think it was a bat, flying around. What they did was, they attached that rig [the bat] to one of the [Bento] bones, [so] although it doesn’t appear to be attached, it appears to be a separate object. But under the hood it’s attached to one of those bones. and they actually have that pet bat flying around them, hovering around them. So it’s really cool. What we’ve done, and how the residents have managed to use those capabilities, continues to just blow us completely away. So we can’t wait to see what other people do with it. OL: I’m not familiar with that or how it works. But we’re not, at this point, anticipating adding any scripting capabilities that’s specific to the new bones. TL: That’s been a challenge for us from the start. We deal with people from all around the world: Australia, UK, both the east and west coasts of the United States, and even Singapore and Hong Kong. That seemed to be the time that worked best for everybody; but I’m more than happy to try to accommodate if there are people who are interested; we can certainly try to adjust that, sure. Maybe if anybody here who’s interested can try to make it to next Thursday’s meeting [May 12th, 2016], and raise that question, then I can take a count of all the new people who are going to join us and we can certainly try to accommodate that . OL: At the moment, we’re still very much focused on continuing the improvements in inventory robustness that we’ve been making, and we very much appreciate that people have noticed and are seeing the difference. That’s been a big effort. We’re continuing to dig very hard to try to fix existing problems; one of the things that’s going to be coming out over the next few weeks is some changes to the protocols between the viewer and the back-end inventory system. We’ll be removing support, over the next couple of months, for some of the older, more fragile mechanisms, and making sure that everything is beginning to transition to using the newer and more robust methods, so that we can continue to make the whole system more reliable. Better inventory management interfaces and tools are a terrific idea, and that’s an excellent example, since it’s essentially a viewer-only problem, for third-party viewer contributors to contribute to us. We’ll be more than happy to review proposals for better inventory management tools and incorporate them into the main code-base. TL: I think the short answer is, yes. What we’ve tested so far with the new user experiences, including those created by the community, the tests are coming back very positive, and we’re seeing a lot of people are enjoying the new features. So yeah, we’re hearing that is something that is welcomed and is working for everybody, we’d absolutely love to include that in future versions and expand on that. Ebbe Linden (EL): We actually haven’t given it a lot of thought. I do see those cards in the checkout line at some of the grocery stores here. But I think it’s probably more interesting to think of ways to sort-of refer a friend, maybe, with an associated gift card to get them into the world. It’s something we’re going to have to think about, but like I said, until we saw this question, it hasn’t really been something we’ve given enough thought to understand whether the investment would be worth pursuing or not at this time. So, we’ll bat it around for a bit, but there are no current plans. OL: Well, we try not to talk about things we’re not very, very close to releasing, so I won’t speculate about any longer-term plans, but improvements to the photo interfaces are another great area for independent viewer developers to propose doing things, including, of course, the Firestorm team … We’re open to getting those contributions. OL: Actually, this is something we’ve recently been talking about. We’re going to have to make some changes to how sound files are delivered to the viewer, which incidentally will make the download faster and more predictably [via the Lab’s CDN services], and once we’ve done that, then we can make them without and adverse impact. So, yes, we’re definitely looking at this. I can’t pin it down to exactly how big a difference we’ll make, but we’re going to do something. We’re also going to allow larger animation files to accommodate Bento. We’ve got more bones to animate, so we want to give people a little more room to do that with. But again, that’s part of the same change to how things are delivered to the viewer before we make them any bigger, otherwise we’ll just be adding lag. OL: It wasn’t really more faces per object [in-world], it was more faces per mesh object that was being uploaded. And it wasn’t ready as quickly as we hoped it would be, it wasn’t released until the end of September, rather than what we had been shooting for, which was the spring or early summer, but we did eventually get it out. And the way it works is that it breaks the new object that you’re uploading into multiple objects at the time you upload it. So you can develop it in your mesh development tool as a large, complex object with more than eight faces, and it will be converted into a set of linked objects that each conform to the eight face limit. That limit is related to the performance of the viewer, and so forth, and it makes a big difference, so increasing it intrinsically in-world would be a bigger more complicated problem. Will there ever be a chance to increase it from eight textures per object? OL: “Ever” is long time. We are firmly convinced Second Life has a lot of time left in its lifespan; I would hesitate to speculate about “ever”. It’s not on the short-term list. It’s not in the pipeline then? OL: No, not at the moment. We’re focusing on other things at the moment. EL: Well, I’m glad you’re happy. I mean I’ve been saying for quite a while that we’ve been aware that pricing of land has been a core issue, so we’re trying to be sensible about how we start to lower some of the cost, and as you’ve noticed, we’ve also taken some actions to pick-up some of the revenue elsewhere; on the exchange and on the redemption side of the equation to compensate a little bit for this. Because yes, i do believe that the burden of land owners is a bit too high, and we have other people in the world who are sort-of getting away with not being charged enough or taxed enough for how they use the product. So, we’re trying to shift cost from land to other places. Also now with this experiment, it will take a while for us to see what will it do to retention rates, and how much more land will people buy or retain over time because of the lower rates. And based on seeing that data and that feedback, we can sort-of speculate on what we can do next. So right now, we have no plans to do anything other than what we just did, and we need to let that run for a while, and see what the impact of that is. If it doesn’t change any other behaviour, and we’re just charging less, then it might be difficult for us to take additional steps. If we see a positive response in retention rates and land ownership rates, etc., they we’ll be looking forward to taking additional steps. On Mainland … we’re not currently planning any additional fee changes anywhere at the moment. Like I just said, let what we’ve just done settle for a while. But there are some other plans to make some improvements to Mainland; so there are projects underway, and I don’t know exactly when, but to do some nice infrastructure improvements to the Mainland. Some additional cool new content and improvements to areas of Mainland to … freshen the whole place up a bit. That’s something that the team is planning for and will be working on, but no additional plans on rates. I would like to ask about The Constant throttling of Simulator Bandwidth and throttled teleports and Issues such as reducing physics capabilities have made a large impact on larger vehicles, especially those of larger size and weight can not cross sim lines without having mis-teleports and complete teleport failures. OL: This question started a very interesting conversation inside the Lab, because we haven’t actually made any changes to bandwidth and physics that we thought would have any impact on this. But in talking to some of our internal content developers, the Moles, they confirmed that yes, they believe this has gotten worse in the last year. So, we’re going to have to start something up to look at why that is, and see if there’s something we need to change to address it. So, appreciate the question, but I don’t really have a very good answer yet. It is worth noting that, like anything else, very large vehicles do have some significant challenges associated with them. and as with anything else in Second Life, as you approach the boundaries of what the system can support, you’re going to hit the edge cases more often. So very large vehicles, for a variety of reasons about how physics work, and because they tend to have more in them, there’s more to teleport, those things do have an impact. I totally get the coolness of having giant Zeppelins and so forth, I’m very into it, but you have to understand they are putting a little bit extra load on the simulators. I’m sure you know of RLV, and how it allows you to give extra scripted controls to run on the viewer. I was wondering if any of that functionality might be added to the Second Life viewer at some point? – Jasdac Stockholm. OL: This is another one that gets talked about quite a lot within the Lab. In general, we now have the Experiences framework. a lot of the things that RLV has traditionally been used for are interesting capabilities, but they had a relatively high potential for abuse. And what we think is, that with the advent of Experiences, we can begin to expand into some of those slightly more abuse-prone capabilities in scripting while retaining the control and auditability that Experiences provide, because you can always work out what is responsible for something that’s happening to you through an Experience, and prevent it from happening easily. So yeah, we’re definitely looking at adding scripting capabilities that are very similar functionally to parts of RLV. It’s worth nothing that because of the restrictions that the developers of RLV were under, that is, they couldn’t manipulate the inside of the simulator and so forth, it’s very unlikely that any changes we actually made will be in any way backwards compatible with existing RLV items. But that doesn’t mean that in the future, we won’t be able to provide some very similar capabilities. It’s not on the short-term road map, but it’s definitely something that comes up fairly often and is sure to get attention eventually. TL: I do know that from time-to-time we do get requests for additional LSL support. and we take those questions and we mull it over within the team, and it really just becomes a matter of priority and resources. We do get a lot of great requests, and so we log them in and from time-to-time, we meet and try to figure out what and if we can do it. As far as making premium eligibility, I can’t really speak on that part. Maybe Ebbe, do you want to speak on that part a little bit? EL: We wanted to make sure that the people who actually had access to these tools were some people we actually understood who they were, and being a subscriber [Premium member] makes it sure we know who you are. Just making it available to an anonymous user would potentially be a griefing vector that we didn’t want to expose. S I don’t know that we want to move it into the public domain, if you will, and keep it with people who really know who they are. There was a separate question there too? Are there any improvements coming to the [Experiences] search engine soon? OL: That’s just a subset of the regular in-world search. Right now, our search efforts are focused on Marketplace, the new Elasticsearch engine, which we expect will probably become the default search engine on Marketplace quite soon. The testing of it has gone very, very, well, and we think it’s producing better results. So, one of the things we will be considering is the application of that Elasticsearch back-end technology to other sorts of search that we have elsewhere in Second Life. Couldn’t say what the timing of that would be, but it’s definitely something we’d like to do, if for no other reason than we’d like to only have one search back-end. OL: The product listings enhancement problem? Yes. That’s been a vexing one to figure out, but we actually do believe we’ve got a handle on at least one of the major sources of that. Of course the only way we figure out if that’s the only one, is to fix it and then see if they’ve gone away completely; but we’re in the process of doing that. So everybody keep your fingers crossed, but we think we’re getting a grip on that one …. Our support people are going to be really, really happy when we’re done with that, because it’s a big headache for them, they have to do all the refunds by hand. OL: It certainly might be. That’s actually been a recurring theme over the last couple of years: can we find limits that we can actually raise without hurting anybody? We’ve raised the number of groups, we’ve raised a whole bunch of things; but that’s not one I recall having come up before, so I’ve never asked the question where that number comes from, but I’ll certainly do that. If there isn’t something fundamental about it, and it doesn’t seem likely, then we ought to be able to make it somewhat bigger. OL: The way we always want any bad actor to be reported is and abuse report. So it’s essentially the same mechanism for anything. We are in the process of working on better controls for group chat management. I don’t have a time line for you, but it’s something we’re focusing on now. Does it help if lots of people report this one problem, or is one enough? EL: From what I hear from them [the Governance Team], it just really clogs things up and slows things down. Hopefully a case, whether it’s reported once or fifty times, it should be that the case in and of itself should be fairly black-and-white as to whether it’s appropriate or inappropriate behaviour that we need to take action on or not. And flooding the system or reporting the same issue many, many times, really just slows it down, because it’s not the volume of complaints, it’s the nature of the complaint that matters, really. OL: It is definitely true – because I’ve heard it repeatedly from the team that does that does that kind of things – that they get a lot of reports that are not sufficient specific. So if you don’t clearly identify who the problem is, if you don’t clearly identify what it was that they were doing … They get a lot of reports that they can’t action on, because there just isn’t enough information in them to act. So, think hard about if you were on the other end of the reporting pipeline, what would you need to know, and make sure that’s all there. OL: Well, most of the take the time! I don’t know whether I give them the time or not, but they all spend it! No, we do encourage people to be active users. It’s important to understanding perspectives – I should say perspectives – on how users see Second Life, as I think there are as many different ways to see Second Life as there are users. TL: I would also add there’s this funny term that we all coin as “drinking from the fire hose” for all the new hires. We encourage them to come it, because there’s so much to learn and so much to take in. So part of the thing is we have a boot camp, where you get set-up with an avatar and some money, and you can go in there and you can play around and dress yourself up, and just go around and have fun and check out what Second Life is all about. I think a lot of people, when that’s done and that’s over with, they get drawn back in. so that sort-of starts the off, and from there they do it on their own. OL: And in fact the last few times I’ve hired people, I’ve deliberately looked hard to try to find people who were already Second Life users. I mean, that’s a big plus, obviously. EL: Sansar is, but Second Life is not. OL: There are some interesting new Linden developed content things on the way, but I think there are people who would be very unhappy if I gave you any details! OL: We need Patch’s good will, so we’re going to not do that!